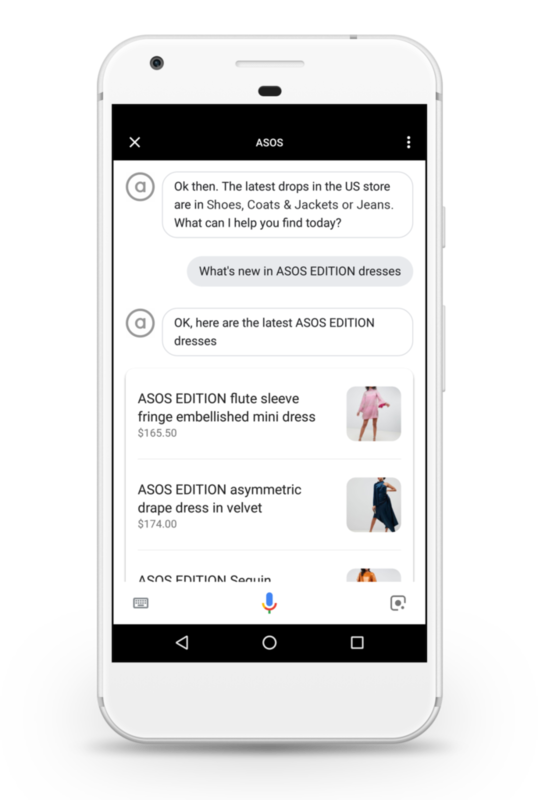 ASOS has launched on Google Assistant. Customers in the UK and US can initiate conversation with Enki, the ASOS shopping guide, by saying “Hey Google, talk to ASOS” to their Google Home smart speaker or Google Assistant app on Android or iOS. Enki will then help them discover and shop the products across six of ASOS’ top womenswear and menswear categories, viewable on their smartphone. ASOS said it will be using customer feedback from the initial launch to explore ways to refine and enhance the experience over the coming months. This is ASOS’ first step into voice apps as the technology becomes increasingly pervasive. According to ASOS one in two US consumers use voice technology today and voice shopping is expected to be worth $40bn (£30bn) by 2022. Google Assistant is now available on more than 500m devices globally, the company says. ASOS launched Enki, the ASOS Fashionbot, on Facebook Messenger in the UK earlier this year to help customers discover relevant products. Features such as Your Edit; recommended brands; Style Match – which enables customers to search using images from the web or captured on their smartphone – and ‘You Might Also Like’ are all built on machine learning to make it easier for customers to navigate the wide range of products on ASOS’ site.